We are hardwired to want the best, and this is equal parts evolution and conditioning. However, before we get any further let’s get something straight: when the question is: Which car insurance is best? It might sound like a copout answer, but when we are talking about insurance, there are so many variables and conditioning clauses that any single insurance policy configuration I put here as “the best” will be perfect for a few of you, good enough for some, and outright bad for most. Think of car insurance as a suit or a dress. You can rent one; you won’t necessarily look good in it, but at least you won’t be naked. You can shop around until you find something that fits just right and “look the part”, or you can have one tailor-made, and wear something that is literally made for you, looking your best. And even though I can’t give you straight, single answer to “Which car insurance is best?” I think there’s a lot of benefits in discussing some of the best insurance companies on the market right now. Those that, for one reason or another, be it their efficiency, ease of use, or array of coverage, have displayed an excellent track record over the past couple of years and garnered a right amount of client satisfaction. So, if you are trying to decide which car insurance is best for you, comparing quotes between some of these companies, this just might sway you one way or the other and make your decision easier. When it comes to determining which company is “the best” you need to know there’s a lot that comes into play. The insurance market has become so competitive that most of the big companies out there are pretty close to each other as far as their offerings. That’s why other elements like having an updated website that offers online payment support, a top-rated claims process that has you recovering your property fast, or continuously providing promotions and discounts for their clients, take more weight in this comparison. It is one of the best-known names out there in the insurance game, and for good reason. Most of its client base seems quite happy with their services, and for their size (one of the biggest on the market) they have an incredibly competitive pricing structure. 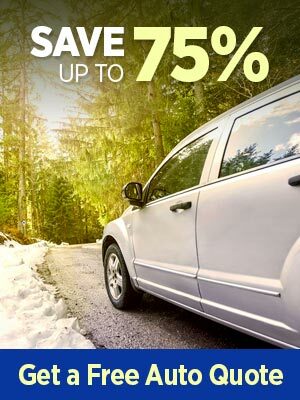 They have a lot of discounts systems that further the attractiveness of their policies – pay-in-full discounts, multi-car discounts, safe driver discounts – pair that with a significant online presence, roadside assistance, and solid company-level financial ratings, and you can’t go wrong choosing these guys. Another huge name in the insurance market, if you’ve ever even heard of insurance, you’ve heard of mutual. They ranked “among the best” in J.D. Power’s 2016 U.S. Insurance Shopping Study, and have had a solid track record since, customer satisfaction-wise. Their standard coverage is pretty great, and they pair it with a lot of attractive options like Accident forgiveness – where your policy rates won’t go up after an accident –new and better car replacement, and deductible funds. Any insurance quote you are considering that comes from Allstate should instantly be added to your shortlist for further thought. They have received positive ratings in J.D. Power’s studies and got especially good remarks from customers about a positive rental car experience, which might be of interest to you if you travel a lot. They have a strong physical presence, with offices all over the country paired with a user-friendly, very helpful website, so when you have to interact with them, you can choose the way that suits you best. As I mentioned at the beginning, when it comes to insurance it is hard to pinpoint a single answer for “Which car insurance is best?” However, if you have already done your homework and have a bunch of quality car insurance quotes to choose from, knowing these facts about the top-rated insurance companies can help you by making the final choice easier. If you're still confused, give us a call and let's uncover what's the right car insurance company suitable for you!